Creating succulent arrangements is one of my favorite types of container design. Their sculptural forms lend themselves perfectly to contemporary design. I recently put together a new succulent arrangement of icy blue and dusty purple tones. While the plants are always the stars of the show, with this purposely muted palette, I knew I needed a little extra ‘umph’ to really make it sing. As with any design, the magic is in the details. In this case, the detail needed came in the form of top dressing for the arrangement. I wanted to find something special, so I made a field trip to Bedrock Industries in Seattle. 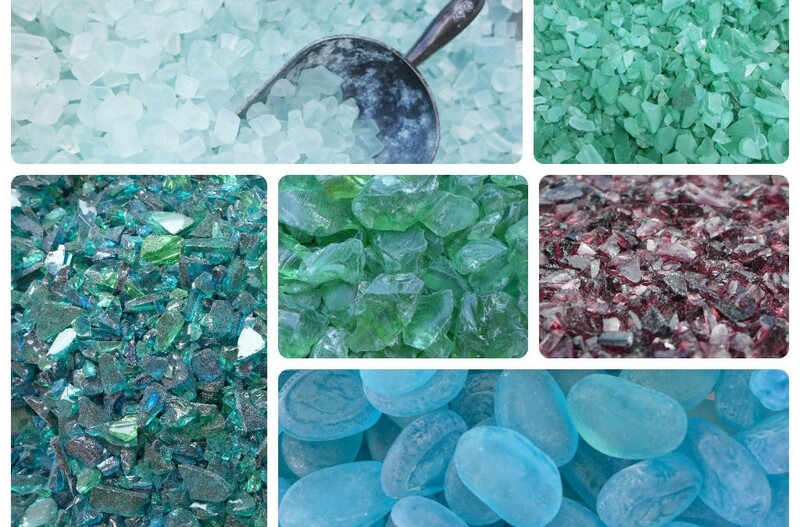 Located at 1401 W Garfield Street, under the bridge connecting Queen Anne to Magnolia, Bedrock Industries specializes in creating tiles from 100% recycled glass. 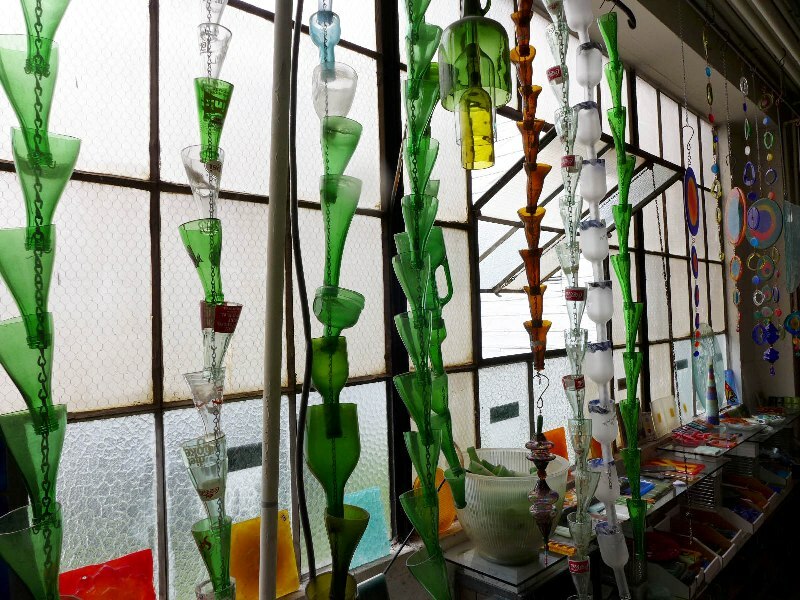 As they state on their website, it’s important to them to “demonstrate that creative recycling can stand on its own right here in the United States.” The moment you walk in, you know they take that statement seriously. 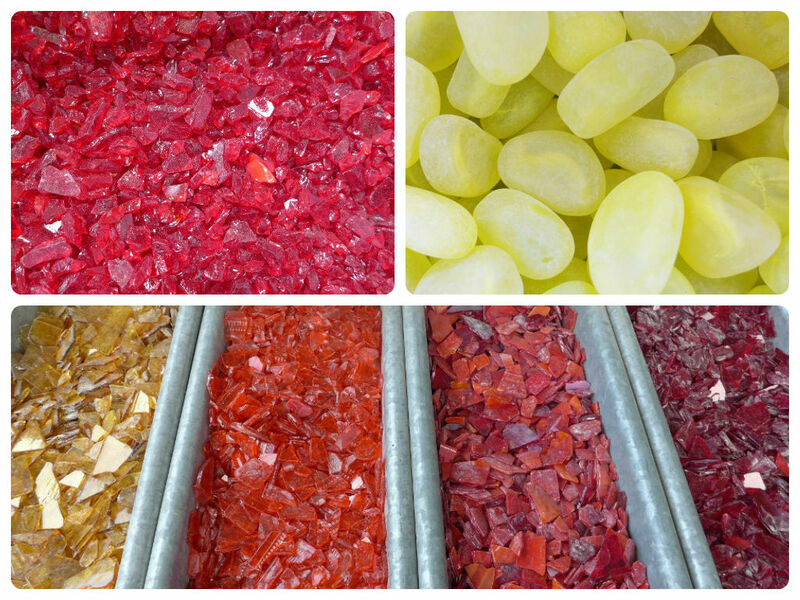 From mosaic tiles in every imaginable color, to tumbled glass for container top dressing, to tiles perfect for bathrooms or kitchens – inspiration abounds! As mentioned, I was there for the recycled glass top dressing for my succulent arrangement (it was easy to get distracted!) 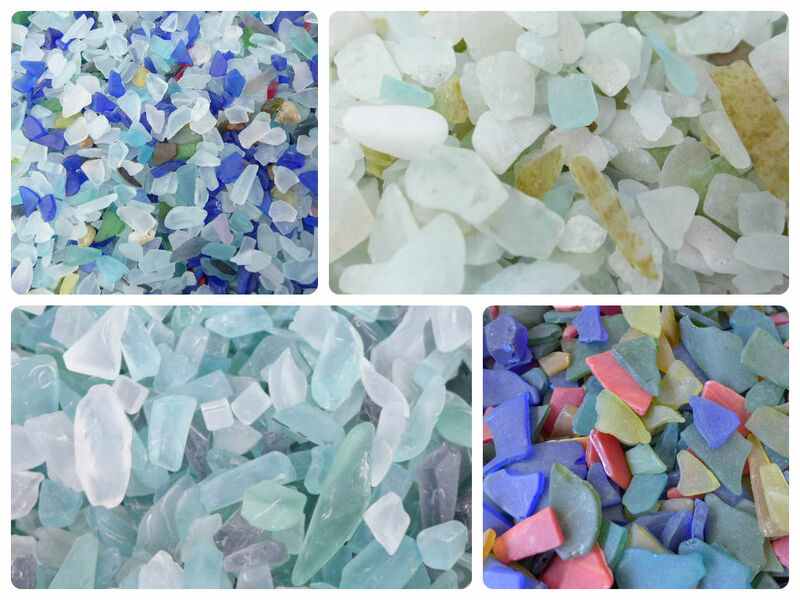 They have tumbled glass pieces, colored glass pebbles, chucks of colored glass and now tiny shards of colored glass available. Here’s just a sampling of the choices. Cool tones: Perfect for drawing out the blues in either your plant choices or container selection. Warm tones: Great for arrangements with a tropical feel. Mulit-colored: Great for a beachy effect. 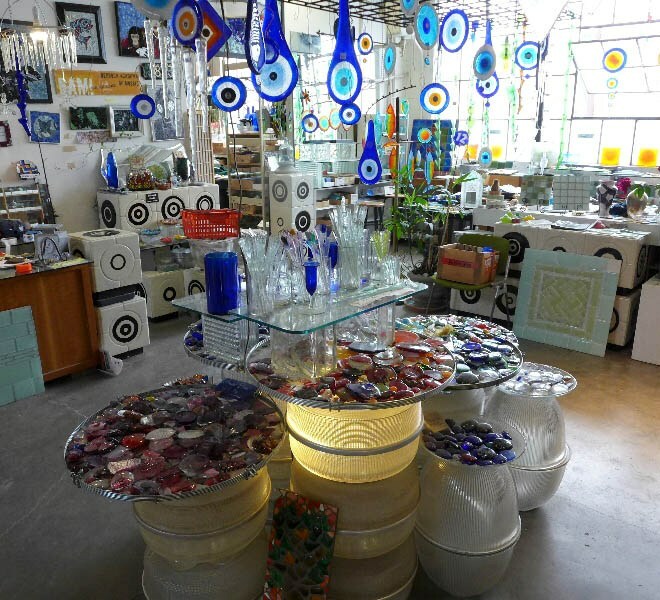 While the choice of “raw” material is impressive, so is their shop full of art created from recycled glass. 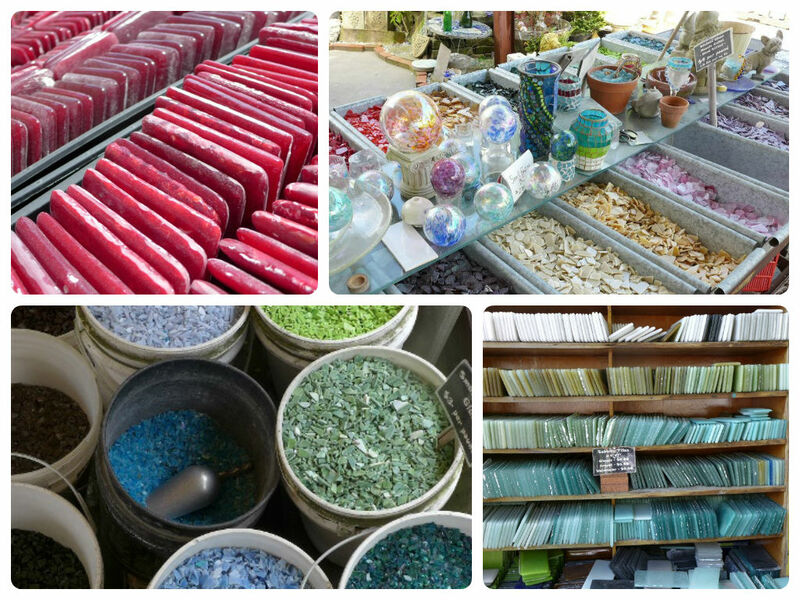 It is a great place to shop if you’re looking to add some color and pizzazz to your garden. 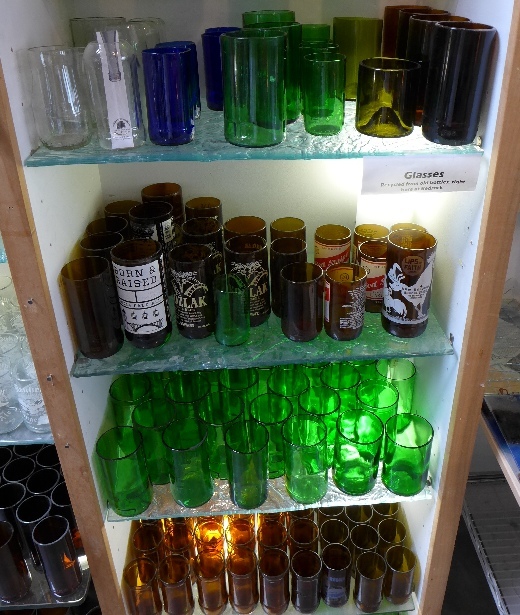 I especially liked the rain chains made of recycled wine and beer bottles. 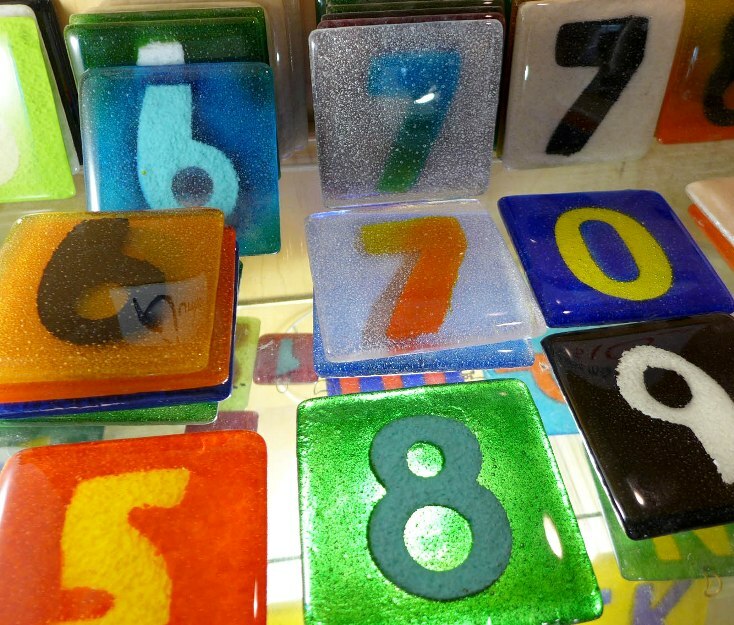 The numbered glass tiles would make a unique mounted address plate for the front walkway or door. 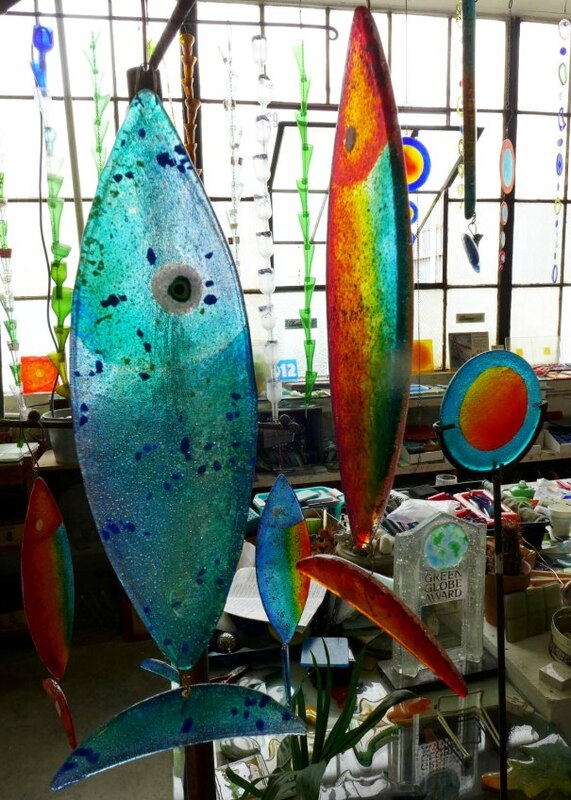 Colorful glass fish could liven up a corner of the garden or catch the sunlight outside the kitchen window. Have you been looking for a unique set of cocktail glasses for your next garden party? These tumblers made from bottles would be a great conversation piece. Buy just one or a grouping of three to use as a vases for blooms freshly plucked from your garden. Bedrock also holds mosaic making classes for adults and children and has a schedule of classes posted on their website. 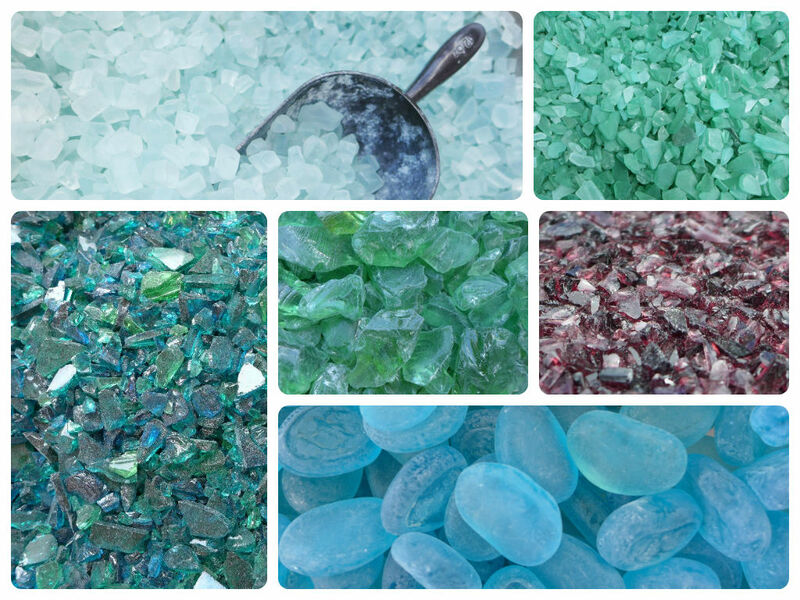 To purchase glass visit their online store, bedrockmosaicglass.com. However, if you live in the Seattle area, I recommend visiting their store to see their full selection. Trust me, by stopping by you’ll either gain plenty of inspiration for your next garden project or you’ll walk away with a new piece of art… or both! 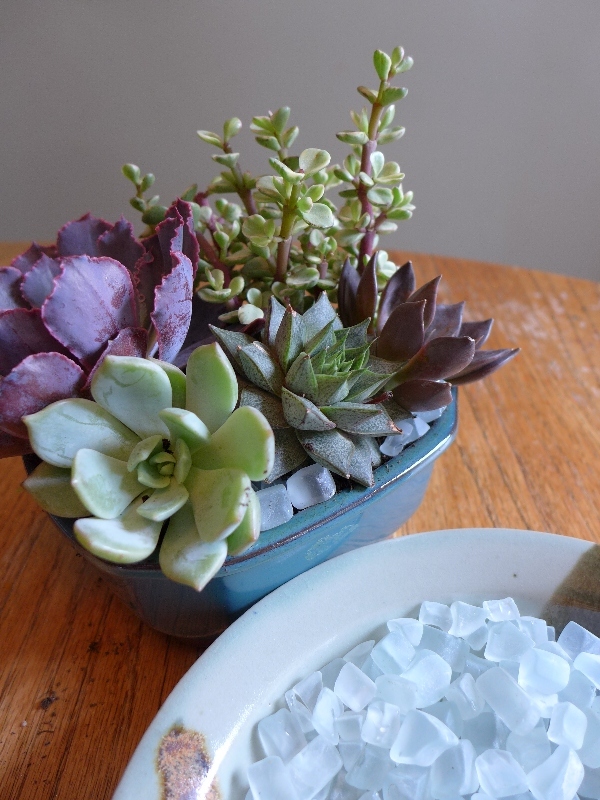 For my succulent arrangement I chose an icy blue cubed tumbled glass for the top dressing. To see more images and an easy “how-to guide” for creating your own succulent arrangements see my blog post on “How to Create A Succulent Container Garden“.